﻿ APRON - A la plancha! 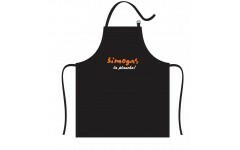 The original black apron Simogas (88,5x68 cm). 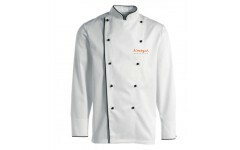 The professional white chef coat Simogas.